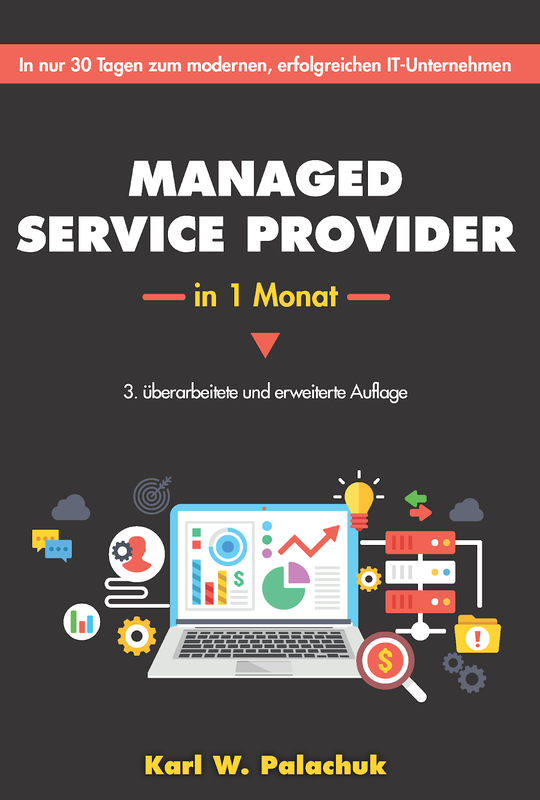 After many trials and tribulations, the German language edition of Managed Service Provider in 1 Monat is available! I am eternally grateful to my readers in other countries who have purchased my books in English. Of course, many people in Germany speak English extremely well. But my bet is that they would German if it were available. I want to give away 100 copies of this book in PDF format to folks with a .de domain email. Send me an email to request your copy. karlp at smallbizthoughts.com. The only thing I ask is your feedback, so I can improve the edition. My writing style and attitude may not translate well. And, who knows, there may yet be errors in the book. If you also want to review it on Amazon, I'd appreciate that, too. But it's certainly not a requirement. The process of creating this book in German was very long and drawn out. I have taken some classes, but certainly am not fluent in German. 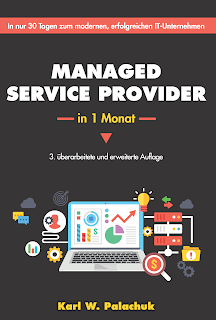 I hired a native German speaker with some technical background to create the translation. Unfortunately, he developed a very serious health problem and had to back out of the project. So then I have to find someone else and start over. I like Upwork, but their search engine is not very good for things like this. You basically have to find a few people who might be right and then figure out the list of skills you need so you can post a job. Then prospects show up. After that, I hired someone to proofread the book, also a native German speaker. Then, I facilitated some communications between those two to work out differences in how things should be translated. Finally, I had to find a layout artist who could work with my digital printer's requirements and templates. And back to the proofreader. Anyway, a year after the English print edition was completed, the German edition is now available. If you wish to buy the paperback edition, it is available on Amazon.de or SMB Books. Thank you all. Tell your friends.